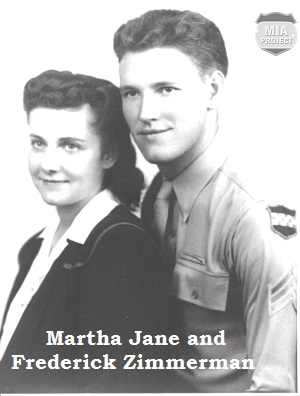 In early December 1944, the 394th Infantry had two battalions on line, the 1st and 2nd. 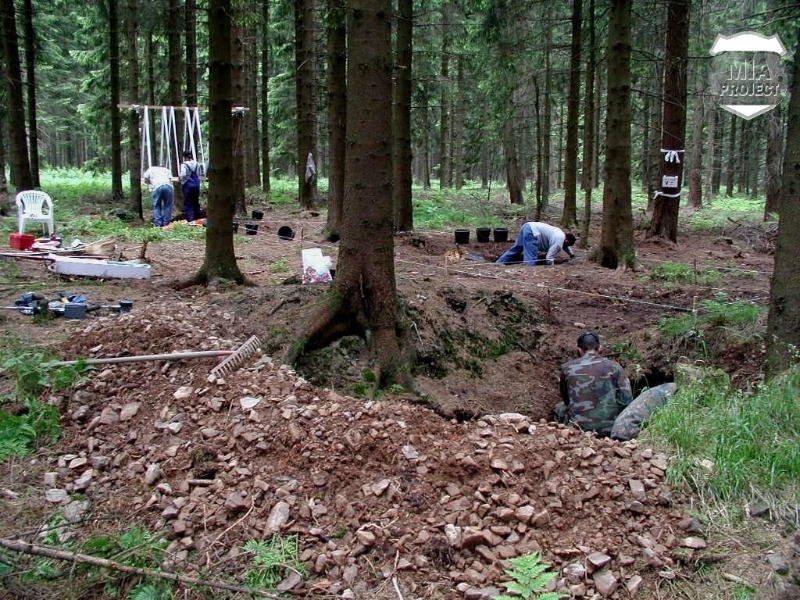 Both battalions held positions in a heavily forested area along the Belgian-German border. The 1st Battalion was at the edge of the forest overlooking the German town of Losheim, and the 2nd Battalion lay immediately to the north. 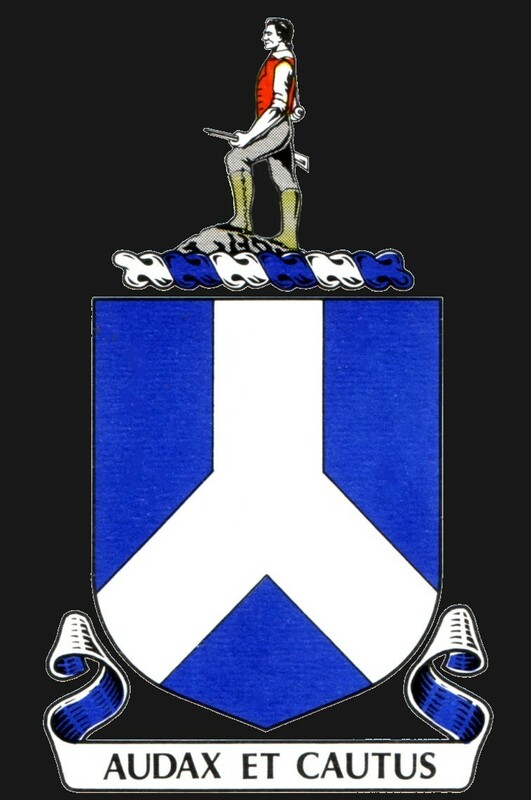 The 3rd Battalion was in reserve at Buchholz, a hamlet just behind the 1st Battalion. On the morning of December 16, 1944, the Germans unleashed a tremendous artillery barrage that lasted about an hour. Though badly shaken, the battalion suffered little damage. Communications were poor, and the situation in other sectors was confused. The next day, December 17, conditions had worsened on the regimental front, and the 2nd Battalion received orders to withdraw to Mürringen. The order came by runner at 14:05 and stated the retreat would begin at 15:00. 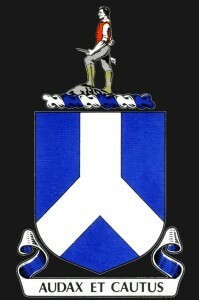 Captain Ben Legare, then leading the battalion, summoned his company commanders and issued march orders. The troops were to abandon anything that could not be carried out. 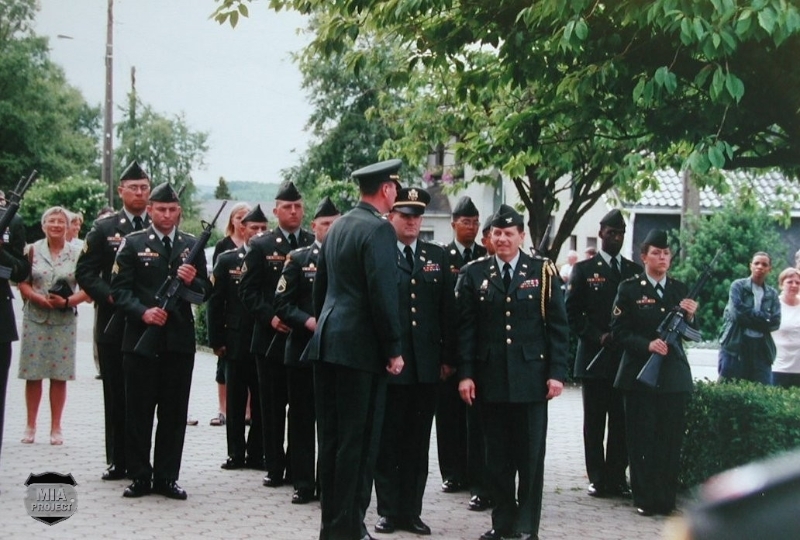 When the MIA Project began in 1990, Rex Whitehead, a Company H veteran, championed three 2nd Battalion casualty cases: Sgt Zimmerman and PFC Larson, both from the same Company H heavy machine gun platoon, and PFC Fidler of Company E. Whitehead spearheaded research efforts. 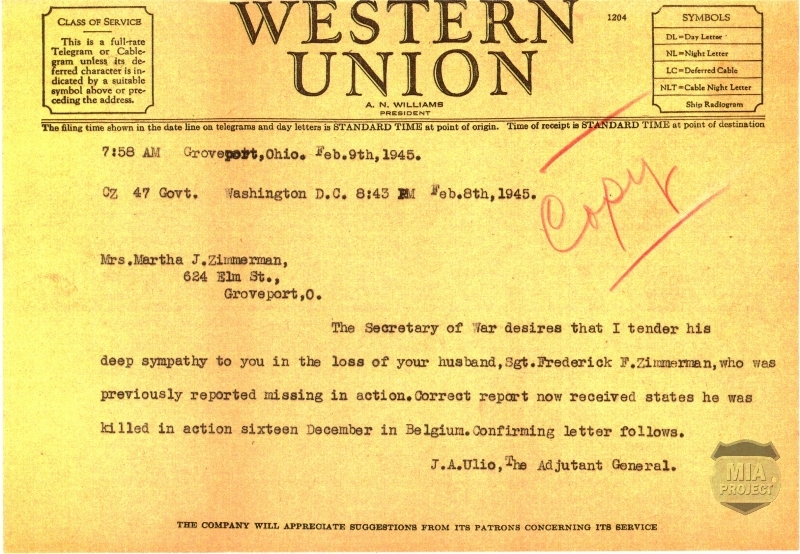 He gathered eyewitness reports indicating that the three soldiers died during the German artillery barrage on the morning of December 16, and the body of at least one was last seen at a forward aid station. Gray Smeltzer drew a sketch to help locate the forward aid station, but the sketch was too imprecise to lead our search team to the spot. Time drifted by and repeated search efforts yielded nothing. On May 25, 2001, Marc Marique began a new search for the forward aid station. He followed Smeltzer’s map and eventually reached a place discovered many years before. 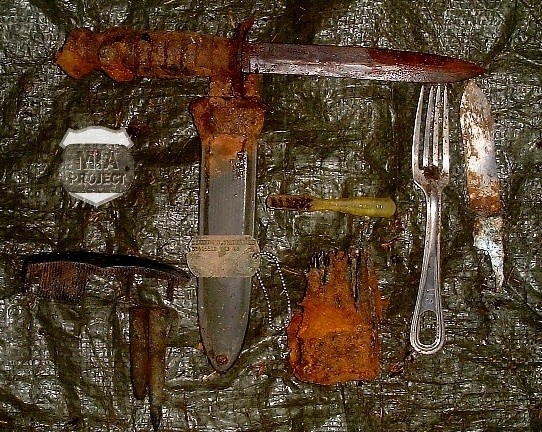 Marique unearthed rusty nails, broken shingles, and, near a large dugout, several empty morphine syrettes. 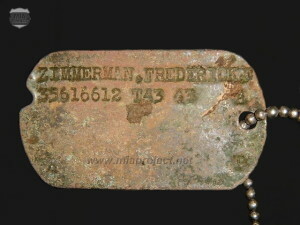 Among the syrettes a dog tag surfaced: Frederick F. Zimmerman. Had the aid station been discovered? 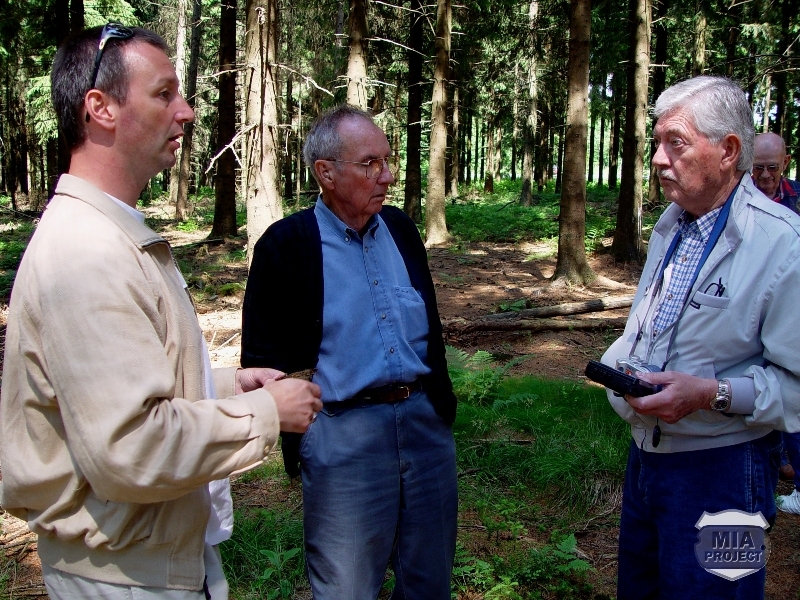 On June 1, Marique, accompanied by Jean-Louis Seel and Jean-Philippe Speder, returned to the site. Since there were only four or five dugouts, the group decided to empty them one at a time. 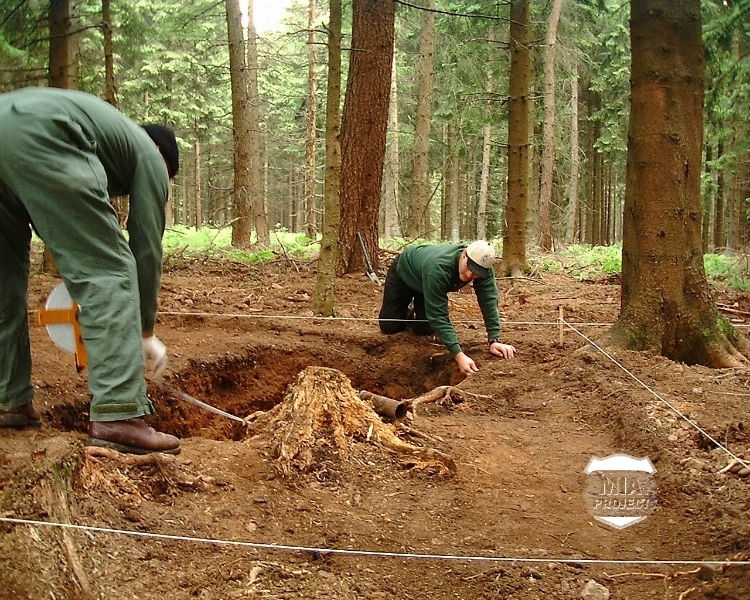 To empty a hole means removing the dirt and slash accumulated over a half century to reach the original soil layer. The first two holes contained nothing of importance. Marique began the third one and soon unearthed a snow boot. The dirt around the boot was carefully removed, and a tibia appeared. Marique had found Zimmerman. But that was only the beginning. 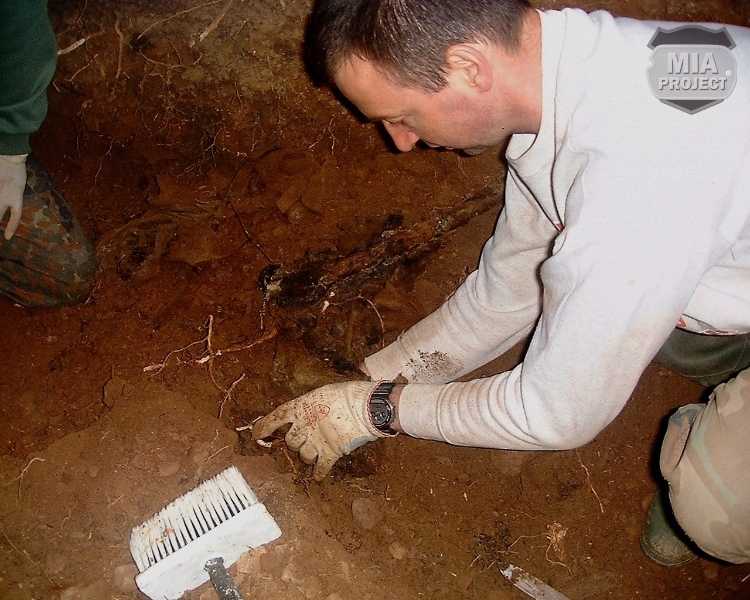 Two more bodies emerged in the same hole. The other two were Fidler and Larson. Whitehead and Larson had been good friends, and that friendship had spurred Whitehead to join the MIA Project. The last time he had seen Larson was on a vessel that carried them across the English Channel. 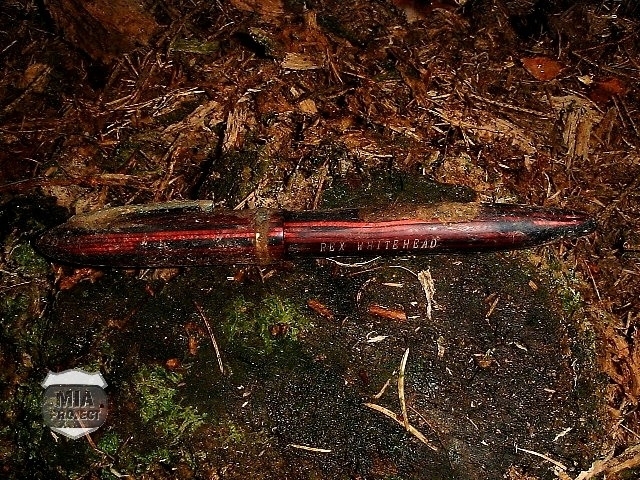 This is perhaps when the pen arrived in Larson’s possession. 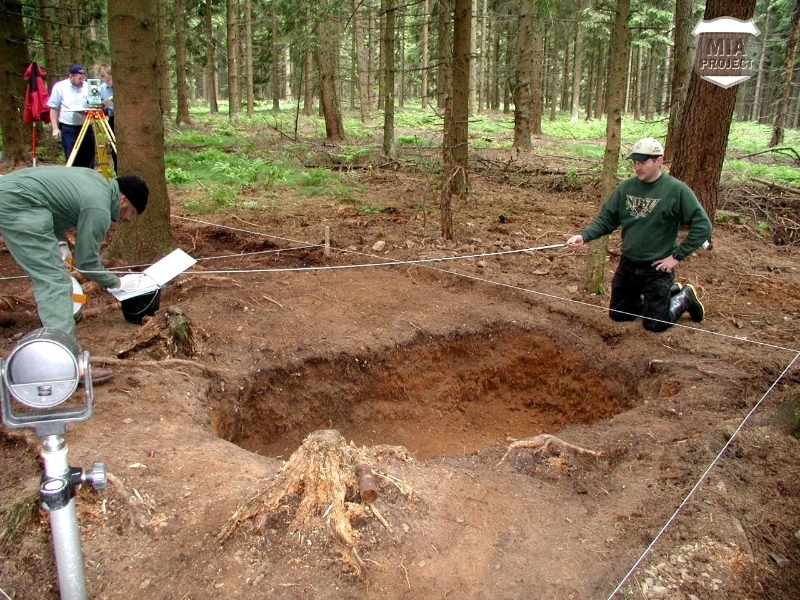 Forest ranger Erich Hönen was notified and soon joined the three diggers. Jean-Luc Menestrey, the fourth member of the team, joined, too. 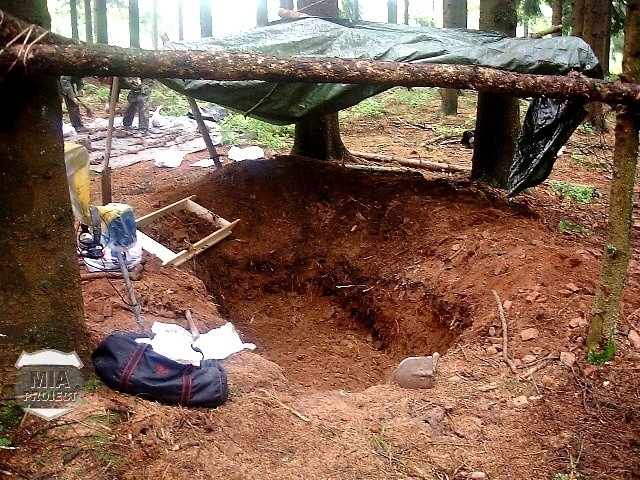 Zimmerman and Fidler were removed that same day and transported to the ranger’s home. 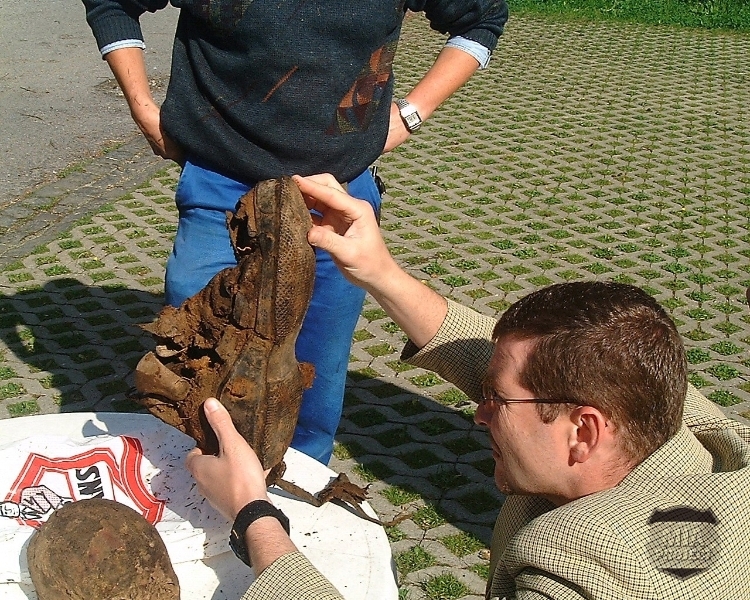 The team met again the next day to remove Larson and prepare all the remains for the U.S. Army Memorial Affairs Activity-Europe. 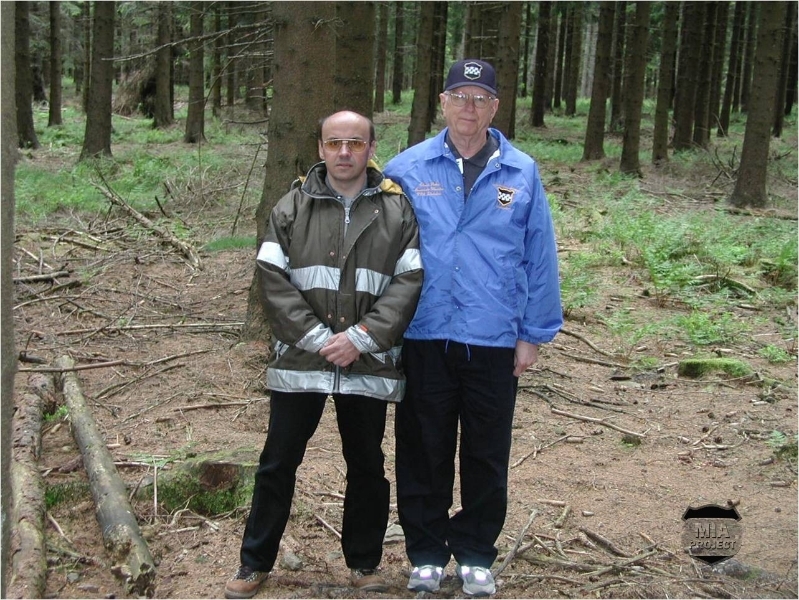 On June 05, 2001, David B. Roath, Memorial Affairs Director, arrived to inspect the remains and organize an official site clearance. It took place the following week. 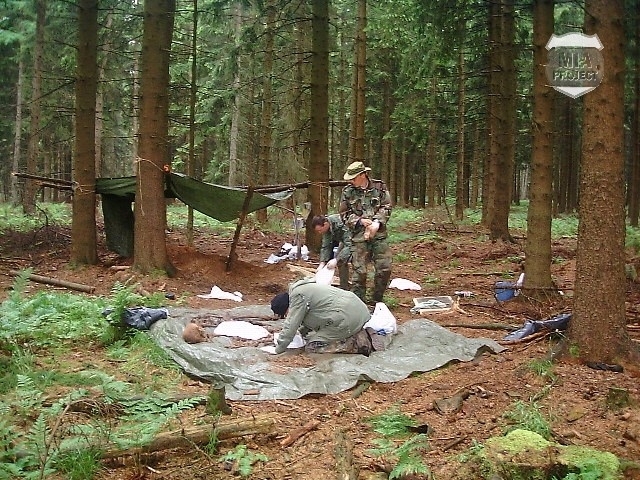 The 21st Theater Support Command at Landstuhl, Germany, dispatched a six-man team which worked three days on site. 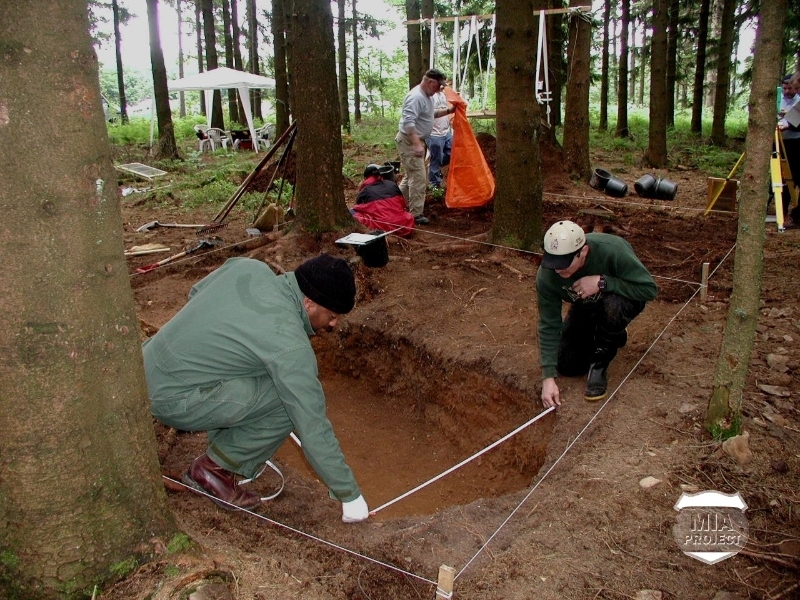 Also, administrative details had to be ironed out with the local authorities because the remains were recovered in Belgium. 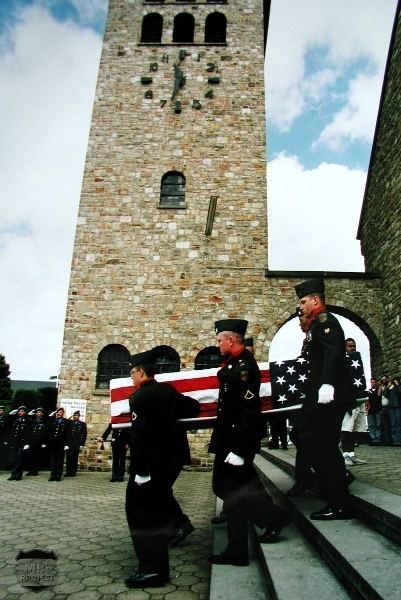 To wrap up the process, Roath suggested that a fallen soldier ceremony be conducted at the nearby church in Krinkelt. 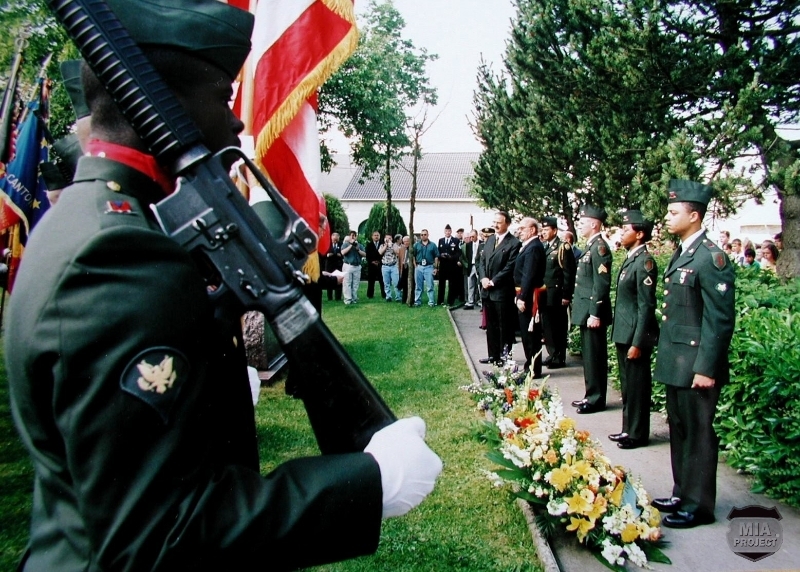 The ceremony took place on June 29, 2001. The small stone church was crowded that day. 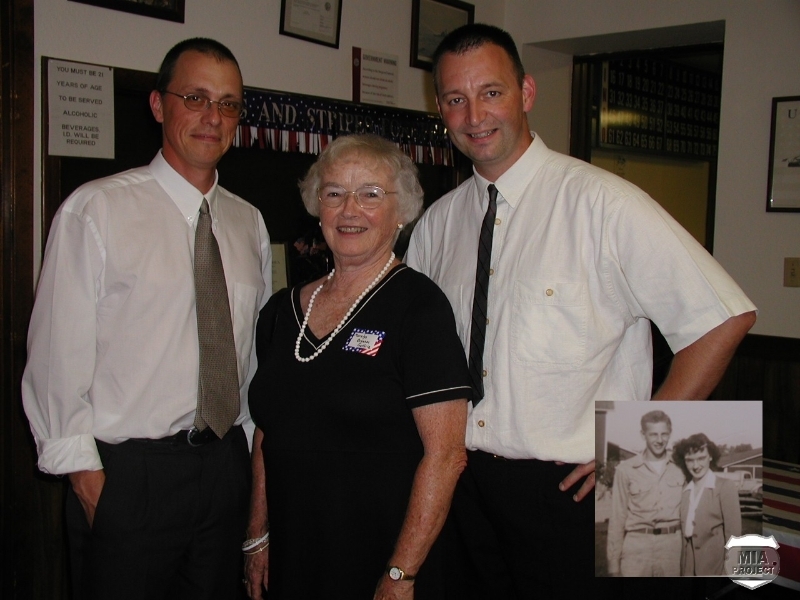 The local mayor, Gerhard Palm, welcomed special guests including U.S. Ambassador Steven Brauer. 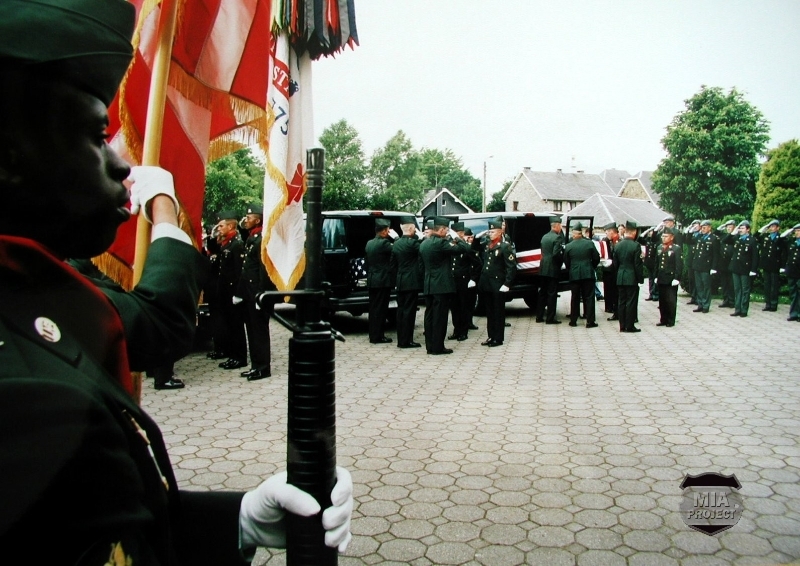 An honor guard from the U.S. 1st Infantry Division was present as was a Belgian Army honor guard. 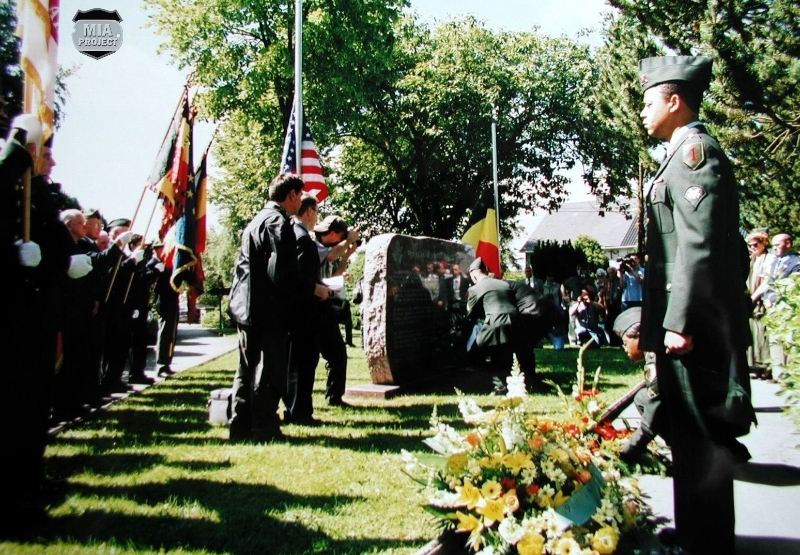 After ambassador’s speech, the Belgian soldiers marched away, and the American soldiers replaced the Belgians. 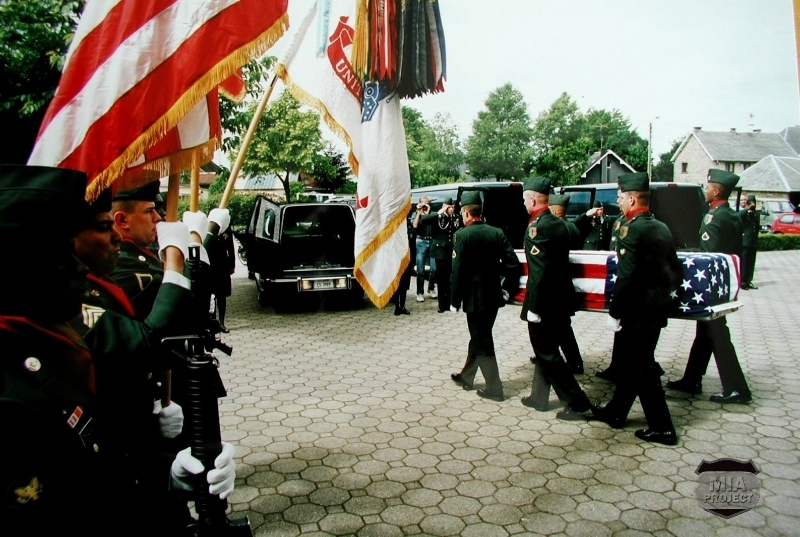 They carried three flag covered transfer cases outside to waiting hearses. Two buglers rendered “Taps,” and the vehicles pulled away escorted by Belgian Army military police. 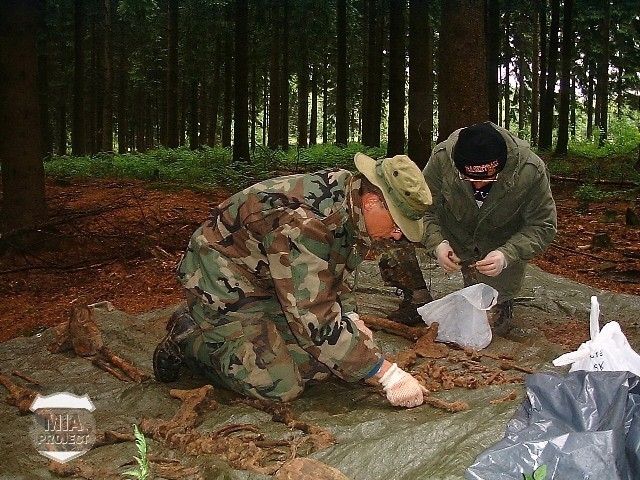 At Landstuhl, Germany, Roath’s team prepared reports and coordinated transfer of the remains to the Central Identification Laboratory-Hawaii. 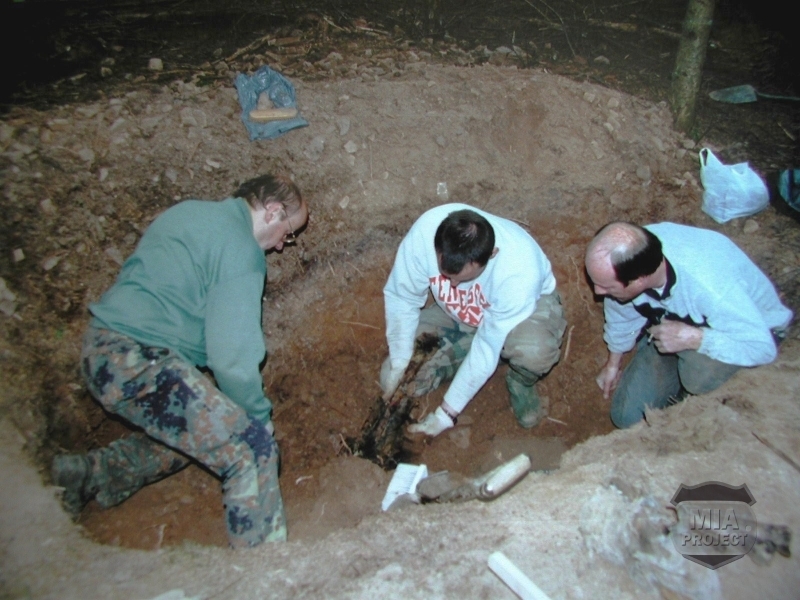 There, forensic anthropologists and odontologists examined the remains in an effort to establish positive identification. 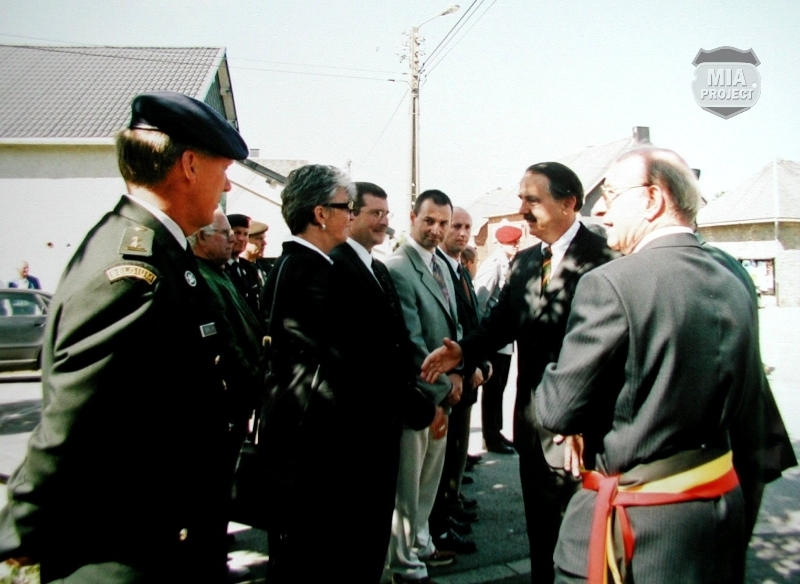 Years before the recovery, the MIA Project had established contact with the families of the soldiers. They were made aware of recent events. U.S. Congressman Mark S. Kirk and his representative Roy Czajkowski provided oversight to ensure the identification process progressed in a timely manner. The process took only six months which was unusually fast for an organization that normally took more than a year to complete such identifications. 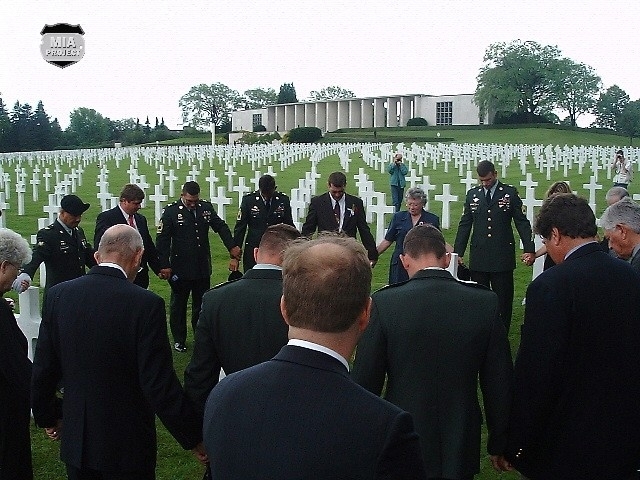 Immediately after the war, President Truman signed legislation giving families the option of bringing their dead loved ones home or leaving them overseas in permanent U.S. military cemeteries. 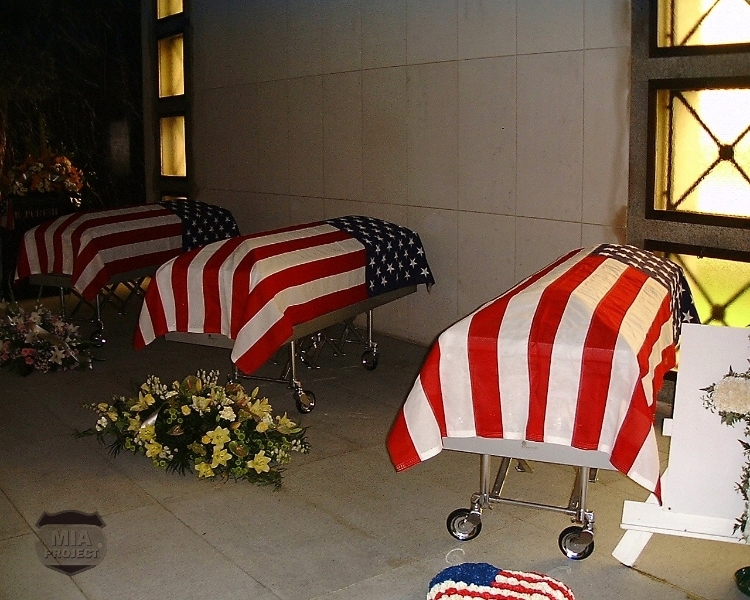 That option was still available in December 2001 when CILHI confirmed the identities of the three servicemen. Chuck Fidler, brother of Ewing Fidler, decided to bring his brother back to Rosedale Cemetery in Ada, Oklahoma, where his family had a plot. 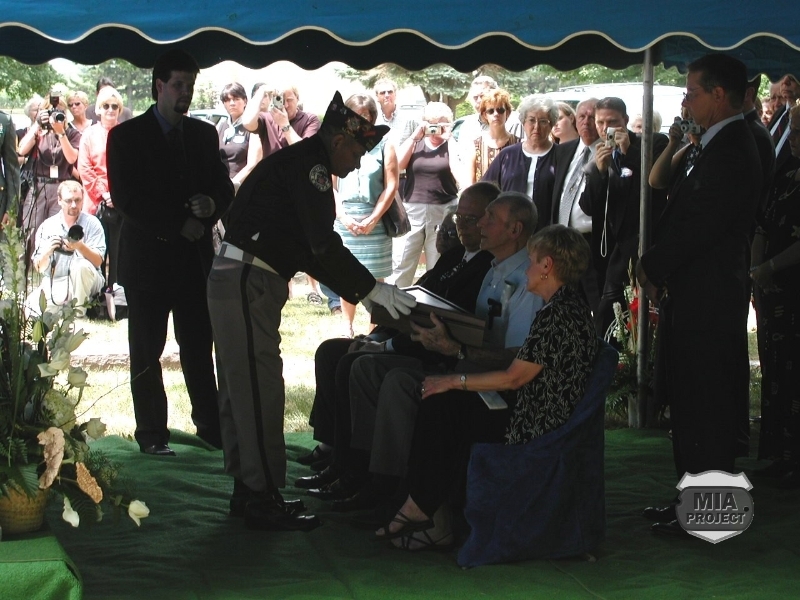 Ewing was buried beside his Mom and Dad on Saturday, June 8, 2002. Stanley Larson also came back to his hometown. Leon, his older brother, selected the family plot as final resting place. 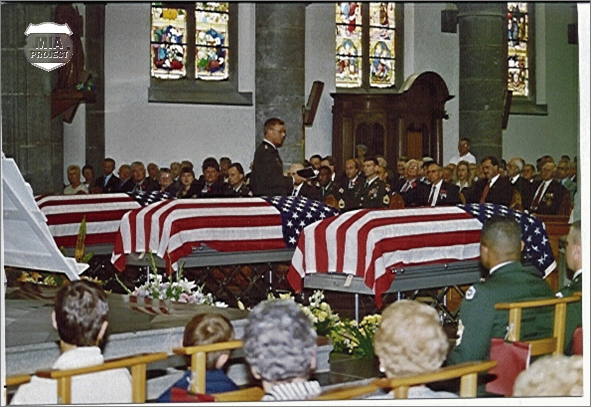 The funeral occurred on July 22, 2002. 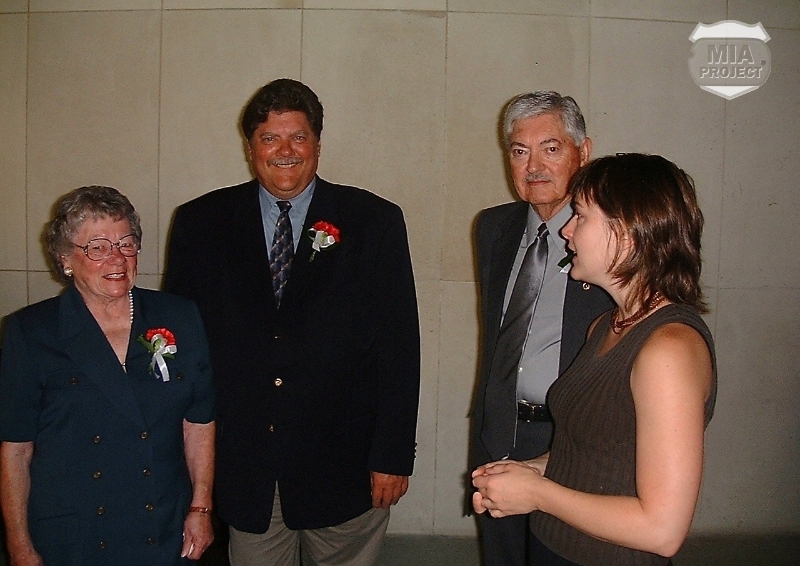 Seel and Speder joined their American teammates at the United Methodist Church in Rochelle, Illinois. For Rex Whitehead it was the end of a long quest. His friend was finally home. He had made plans to attend the funeral, but poor health precluded a trip to Illinois. He wrote a eulogy and was represented by his older daughter Robyn and her husband Ron. After the service, the pastor led the crowd to the Lawnridge Cemetery where soldiers from Fort Leonard Wood conducted the graveside service. 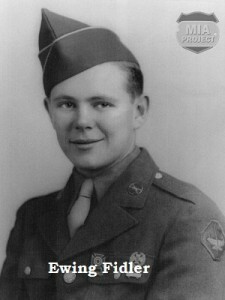 Six weeks before the recovery along California road, the MIA Project had recovered three missing soldiers from the 395th Infantry (see » 88 Hill »). 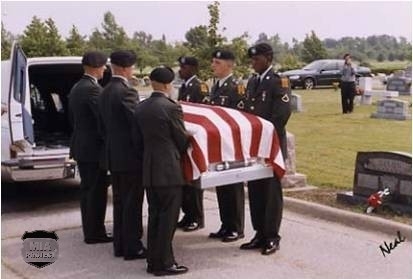 The close timeframe of the recoveries led to an unusual funeral arrangement. 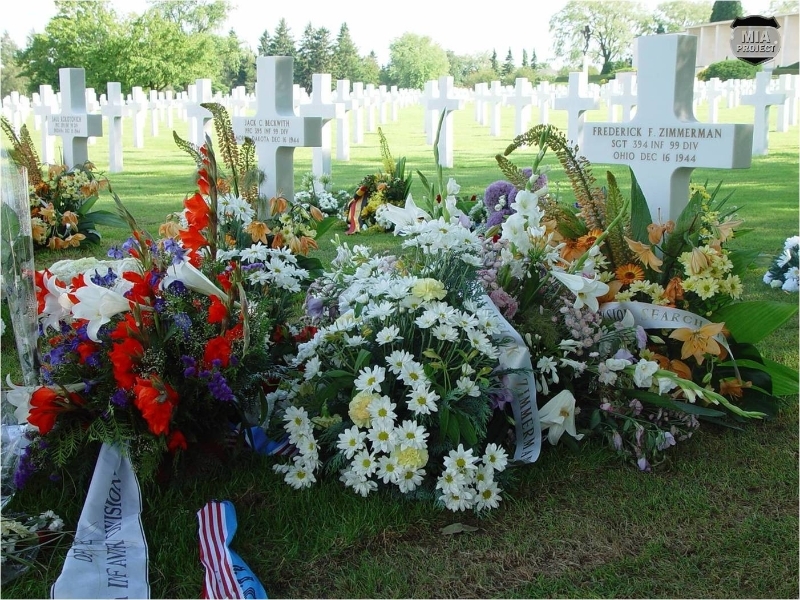 Two of the 395th families had decided to inter their loved ones at the American military cemetery located near Henri Chapelle, Belgium. 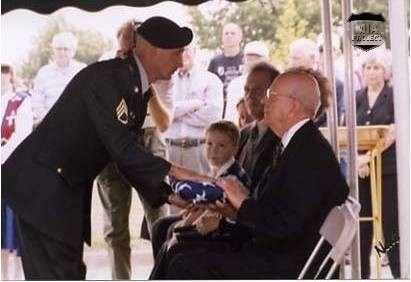 Bill Zimmerman decided that his brother’s resting place should be there, too. 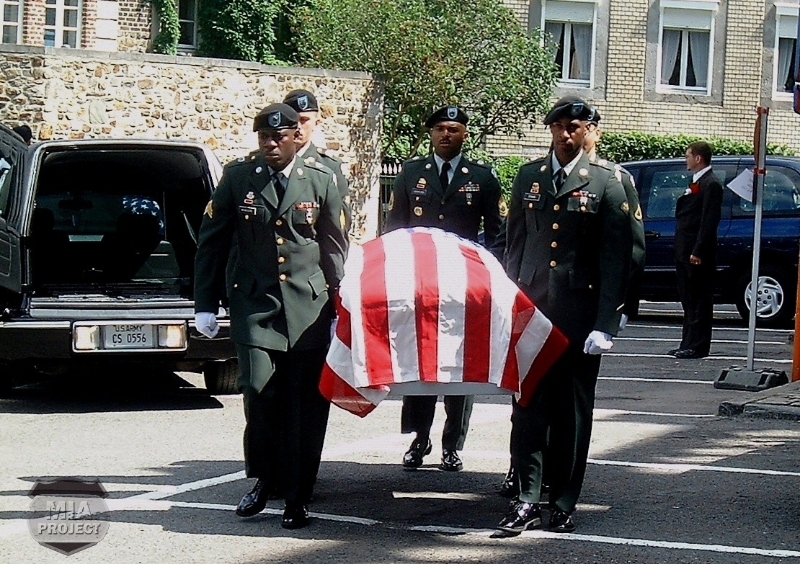 It would be the first burial at Henri-Chapelle since 1954. 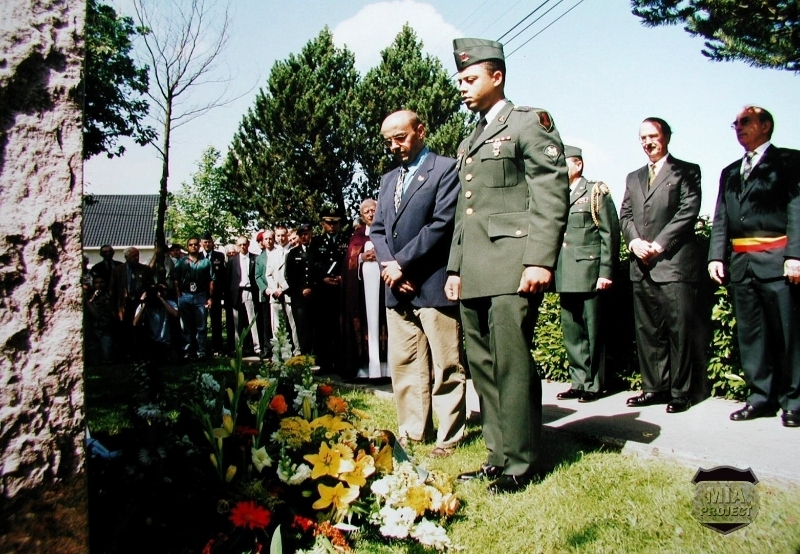 As a licensed funeral director, David Roath retuned to Belgium to orchestrate the funeral. 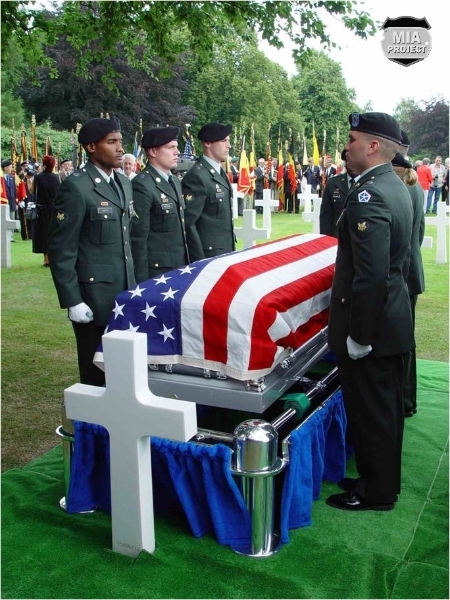 Single funerals were rare at American cemeteries, so a triple funeral would undoubtedly generate broad interest. 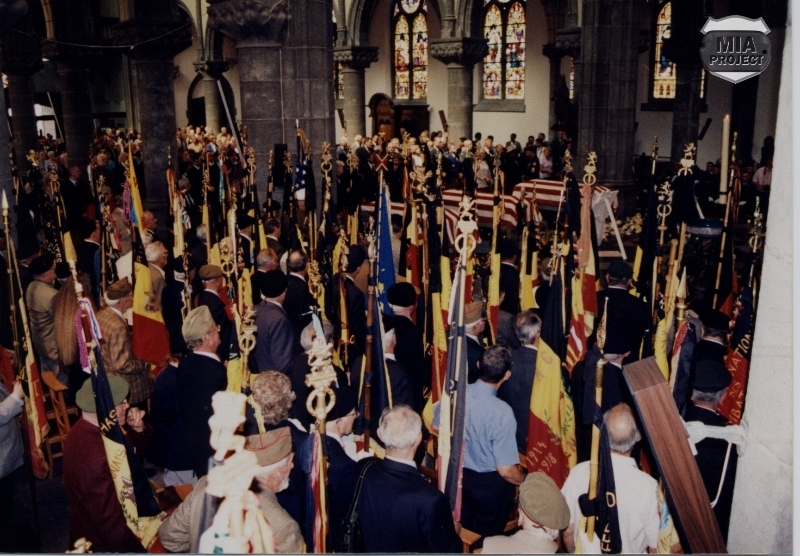 On June 22, 2002, more than one thousand Belgians citizens and local patriotic associations gathered at Aubel’s Saint Hubert church to greet the funeral cortege. 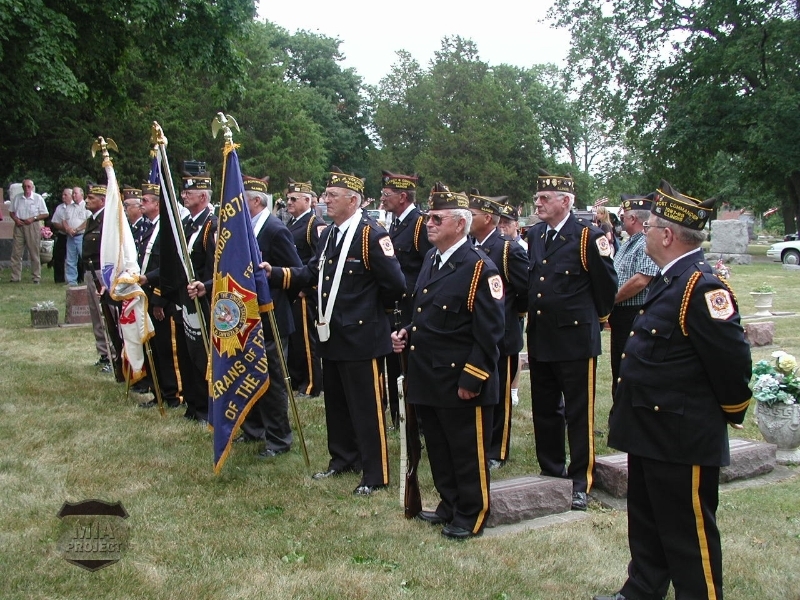 After the ceremony, part of the crowd accompanied the families and the fallen soldiers to the cemetery where a U.S. Army honor guard carried the flagged caskets to shiny catafalques. 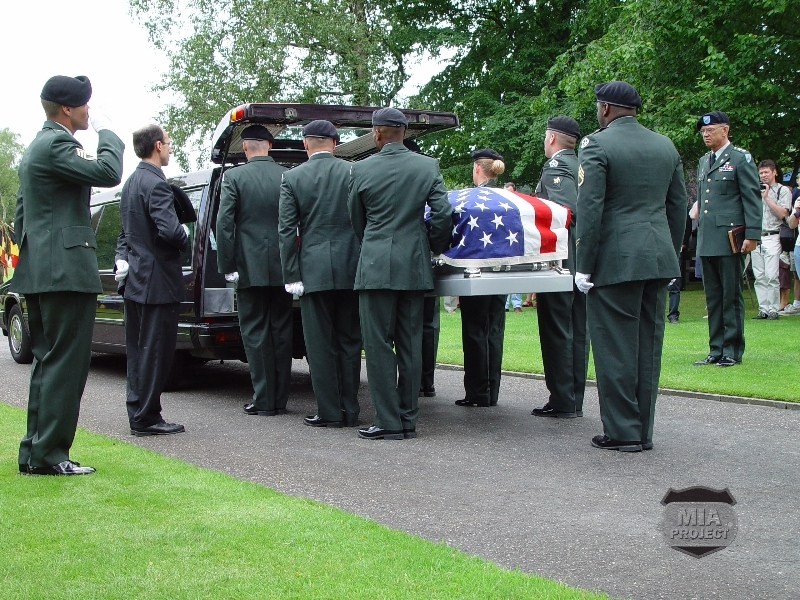 The chaplain conducted a moving ceremony. 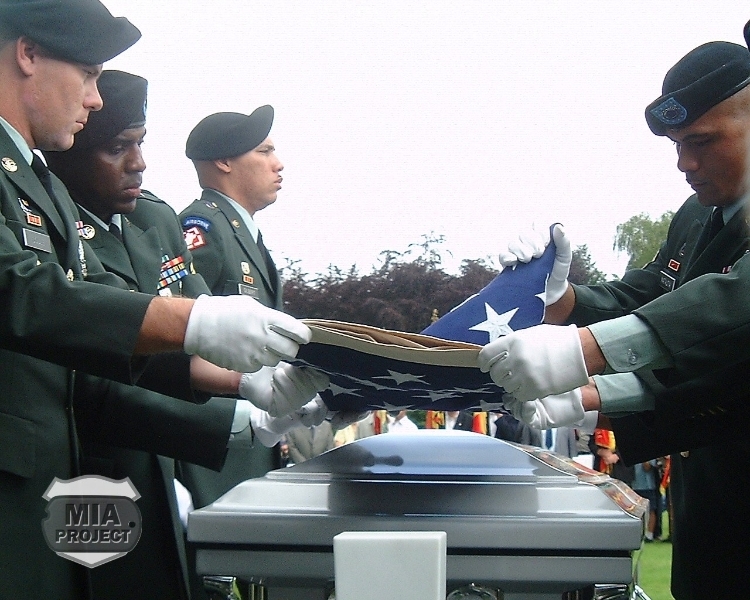 The pall bearers folded the flags, and an officer presented them to the families. One final ritual concluded the ceremony. The families shoveled a few lumps of earth into each open grave, as did David Roath and the MIA Project members. The funeral party vacated the cemetery, leaving Roath’s crew to cap the burial vault and backfill the soil. Days later, Seel, Speder, and Bill Warnock escorted the Zimmerman family to the recovery site. 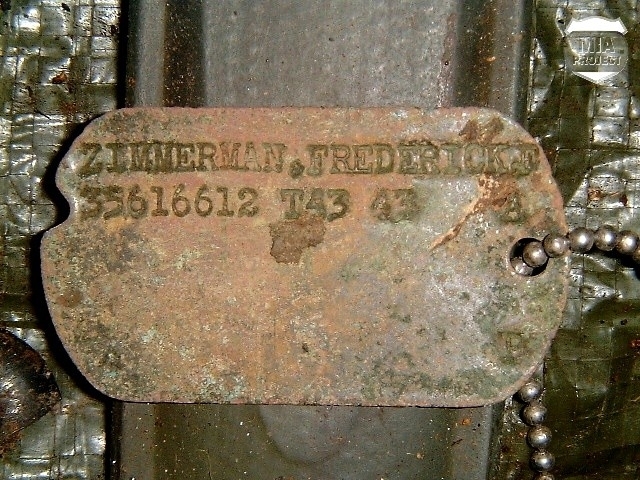 Frederick Zimmerman, like his unfortunate companions, had finally found a resting place befitting with the measure of his sacrifice. 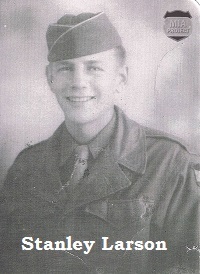 After Action Report – 2st Bn, 394th Infantry.